What: Delicate yet bold is a hard line to toe. 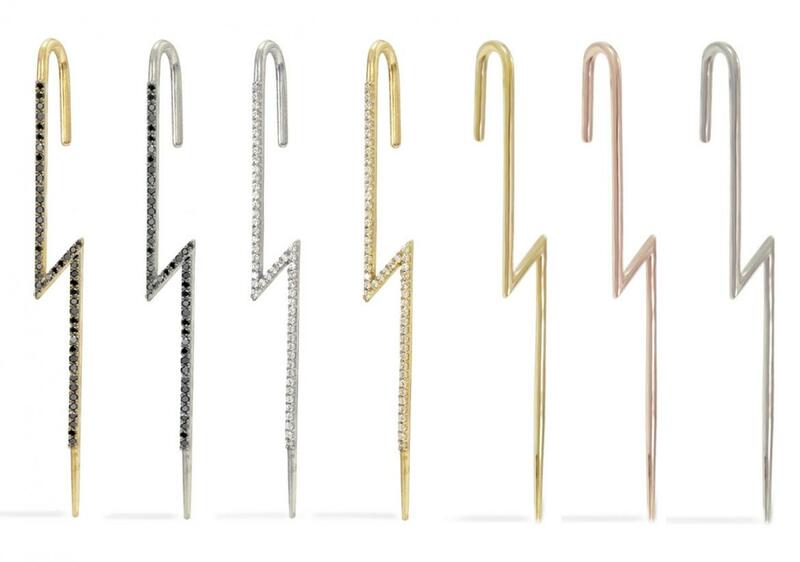 These minimalist ear threaders are statement pieces (read: Insta-ready) that go with virtually every outfit. They subtly hook over the top of the ear and are threaded through a pierced lobe. Go futuristic with a clean 18k solid yellow gold piece or get blingy with one encrusted in multicolored sapphires, rubies or pavé diamonds. These fine jewels are bespoke so make them twinkle as you wish. Who: KATKIM is the fine jewelry line from Los Angeles-based designer Katherine Kim. Kim studied at both Central Saint Martin College of Design in London and Fashion Institute of Technology in New York. She was nominated for the FGI Rising Star Award in 2012. And now she makes badass jewelry. Why: Rihanna, Lucy Hale, Elizabeth Olsen, Taraji P. Henson, Kate Bosworth, and Gigi Hadid have all been spotted sporting the threaders. It’s a thing. Where: Katkim, Saks Fifth Avenue and Shopbop amongst other retailers.